It’s always interesting to observe how information travels from one person to the other and what happens next……. My dentist seems to be a good address for ‘coincidence finds’. When a couple of month ago I was at his office, I found the periodical of the AVN, an organization helping to protect The Hague’s local nature. I ended up going on a very interesting bird-watching excursion turning into an interview for Dutchbuzz, the radio program for internationals on Den Haag FM, along the way. It was a cold, but fortunately very clear day in December and right around the corner from where I live and often go for beach walks, so I’d been there often enough. With a guide telling me what to look out for however, the so familiar environment on my doorstep, suddenly turned into a treasure chest of information on natural life. Last Tuesday I was at the dentist’s office again, and this time found a newspaper in the waiting room that featured two full pages of turn-of-the-century family pictures of ‘early expats’ living in Indonesia. ‘As it happens’ …Tom and I are in the middle of preparing workshops on writing family histories, using old pictures, letters and storytelling as a lead, so here was another interesting find we could use for the genealogy storytelling workshops. Into my purse the article disappeared. I confessed my theft to the dentist once I could talk again after treatment, which as a bonus, lead to a conversation on the dentists parents having been teachers in Indonesia. Now this morning I had to go back again for the next step in the dental treatment, so I sat down in the waiting room and picked up the NRC, a Dutch national newspaper. Leafing through it I stopped at the obituaries. I have a fascination with ‘famous last words’. It’s amazing how much information about the deceased is sometimes given by quoting just a few, even if I didn’t know that person at all. My eye fell on a quote in the obituary of a Dutch gentleman. I also wondered why his relatives had chosen this specific quote; or if perhaps the man himself before his passing had requested this quote to be used. The quote is from someone who in my understanding must have been very wise and sensitive to what matters in life. I copied the quote and the name of its maker, (left the newspaper in the dentist’ s waiting room this time) and googled the author when I got home. 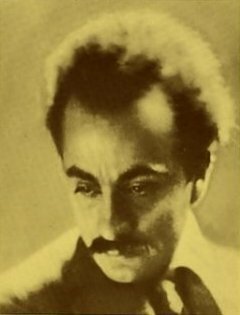 Kahlil Gibran. I had expected to find a Sufi philosopher behind that name and perhaps he was, though his online biography doesn’t mention it. What I did find was the extraordinary story of a man born in Lebanon in 1883, who emigrated with his family to the United States. Apparently he wrote a famous book: “The Prophet”; ‘an early example of inspirational fiction’ the article says. Indeed, even the one quote was inspirational enough for me to now go on a quest and find Gibran’s book.